Switching to online booking will not only save you time in terms of managing all your professionals, and the different services they offer, but will also relieve your booking time constraints. Your schedule will be available online 24/7, allowing your clients to book whenever they feel like it (which will more than satisfy your clients’ 3AM epiphanies). No more voicemails hoarding your work phone every morning, and no more wasting time taking calls at your workplace, instead of directing your entire attention towards your real-life clients. And it works both ways! Using an online scheduling platform will also help you save time by giving you the possibility to access your schedule anytime, anywhere and with any mobile device. When it comes to beauty, many love to make spontaneous decisions. However, booking an appointment to transform your look, and actually following through with it, are two different things. Surely, many of your clients must cancel last minute, or simply, never show up to their appointments. The whole process of taking their call, cancelling their appointment in your schedule, rescheduling, and trying to fill in the missed one with another client is so tiresome. Time to automate the process! With an online scheduling platform, you can send automatic reminders by email and SMS. That way, those doubtful clients can automatically confirm, cancel or reschedule their appointments if they want to, and ultimately, their spot will be cleared for others. An online scheduling solution can also generate great ways of promoting your services online. If you already have a website or a Facebook page (Beauty professionals, you need to get on Instagram! ), you can add a booking button redirecting your clients to your online schedule. If you don’t, no need to fret. The beauty of online scheduling platforms (again, pun intended) is that some can generate your own custom-made homepage, free of charge! For example, GOrendezvo us automatically generates a homepage for you. You can customize it in a way that fits your brand image. Indeed, you can add your own business logo, customize your booking widget by picking the appropriate look & feel, and even add your own personal touch with a banner image. Easy, breezy and beautiful! Once you go digital, you never go back! Adopting an online scheduling platform will open the doors to many other features that will make your life easier and at the same time, boost your business. To avoid no-shows and enforce your cancellation policy, you can activate online payments and ask your client to pay a deposit at the time of booking. Another feature worth looking into is online reviews. You can activate automatic thank-you emails, inviting your clients to rate and comment your services after an appointment, and publish them on your homepage. Having consistent and excellent online reviews will guide your potential clients into making the right choice, and therefore, pick your business over others! Beauty requires patience, and sometimes, your clients need to wait before the final result (for example, a hair dye 💇). And what can you do while they are waiting? You can chill out and relax. But, if you want to maximize your efficiency, an online scheduling platform can help you manage more than one client at a time. You can plan your schedule so that you can see multiple clients at once by fixing a time delay before you can see a second client, depending on the service. That way, you can always keep yourself busy and ultimately, maximize the number of clients you see per day (which goes hand in hand with maximizing your daily earnings 💰). 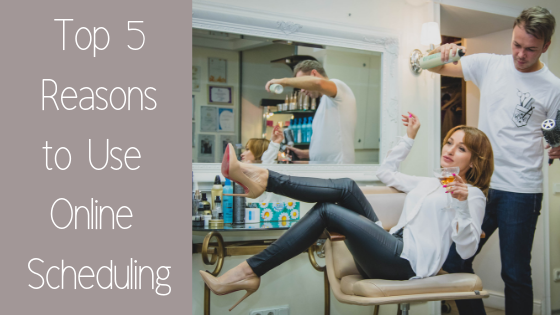 If you’re a beautician, no matter the day, month or season, you are bound to be busy. The beauty industry knows no rest, but that doesn’t mean you shouldn’t either! 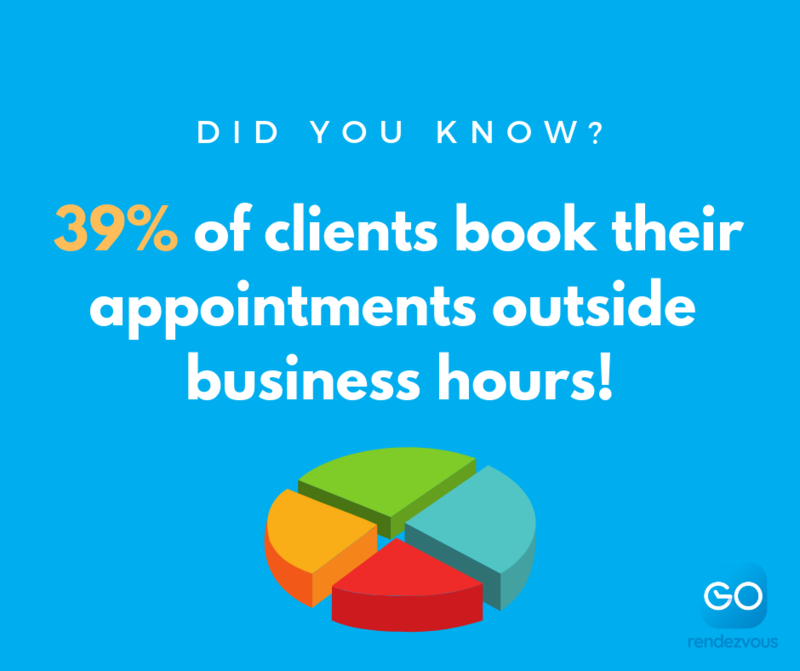 Using online scheduling will not only help you better manage your time, but will also open the doors to many other features that will make both your clients and your life easier. So, what are you waiting for? The earlier you decide to adopt an online scheduling and booking platform, the faster you will be able to boost and improve your time management, efficiency, earnings, and consequently, both your business and personal life!